If you would like a New Catalog please send us an email or call 800-580-0009. 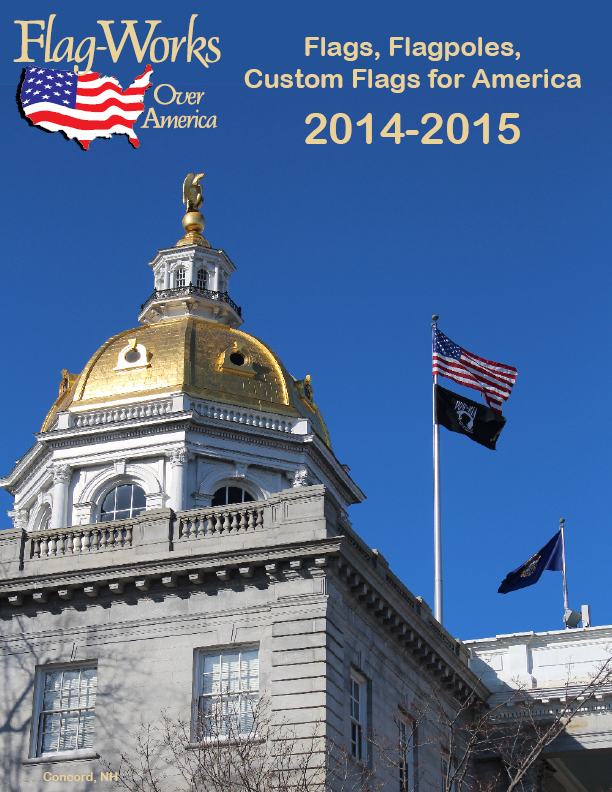 Our Catalog has American flags, State flags, military flags, country, historic and small American flags in it. We also have information on Custom flags, Military guidons, ISO flags and Hotel flags. Fiberglass flagpoles Aluminum flagpoles and accessories grace the pages of our newest 2014 catalog. This entry was posted in Uncategorized and tagged aluminum flagpoles, american flag, buy american flags, fiberglass flagpoles, Hotel flags, Military Flags, Military Guidon on July 21, 2014 by admin.